Peru is a huge country involving many climates and micro-climates as it covers territory from the equatorial zone, coastal areas, mountain ranges as well as the Amazon Rainforest that represents 1/3 of the whole country!! Apart of this geographical richness, there can be found a huge number of monuments of pre-Colombian civilizations such as the adobe city of Chan Chan (the Chimu civilization), the Huaca del Sol y Luna (the Moche civilization), the fortress of Kuelap (the Chachapoyas culture), Caral – the oldest city of both Americas of the same named culture, huge petroglyphs of Nazca Lines (Nazca culture), the New Wonder of the World – Machu Picchu (the Inca's culture) and loads of more!! You can organize all your trips employing a travel agency or in a backpacking way! 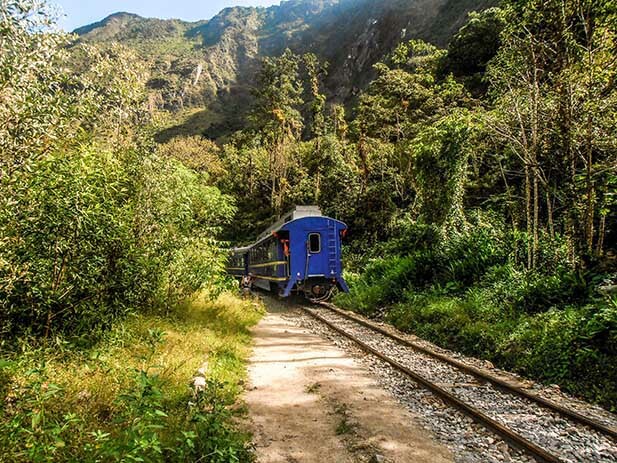 If you like to save on your Machu Picchu tour, a great way to do so is to take a Machu Picchu train tour or Machu Picchu by car tour. The most expensive way on how to reach Machu Picchu is to participate in some of Inca Trail tours (2 days, 4 days or 7 days of length). However, if you like trekking and you would not like to miss the opportunity to hike towards the Incan citadel, then you can try some of alternative treks to Machu Picchu such as the Lares Trek (4 days), the Salkantay Trek (4 or 5 days) or Inca Jungle Trek (4 days). These treks are much more economic as there is not necessary a special permit to enter their routes. It makes it a perfect option for backpackers loving trekking! Except Machu Picchu backpacking travel, backpackers have a big offer of other adrenaline activities to do in Peru, for example, horseback riding or ATV (above Cusco or in the nearby Sacred Valley of the Incas), paragliding (Sacred Valley), canoeing or kayaking (Apurimac River Canyon, Titicaca Lake), rafting (Sacred Valley or Apurimac River Canyon), zip-line (near Machu Picchu) and canopy (Manu National Park or near Machu Picchu), surfing (northern Peru), etc. You can find almost each adrenaline sport in Peru! Among adrenaline sports can be also counted a visit of the Amazon Rainforest as it offers plenty of adrenaline meeting dangerous animals on the way! There, you can see pumas, snakes, insects or caimans during night jungle excursions! Obviously, you can also observe non-dangerous animals such as monkeys, tapirs, sloths, loads of birds, etc. Last but not least what you can see there is huge Amazon flora richness that you cannot view in any other place of the planet! Not surprisingly the Amazon is called the “Lungs of the World”! There is a big variety of cheap tours offering a visit to Manu. The most economic are of 2-4 days. Longer tours are basically more expensive because their departures are not on a daily basis and there is less persons interested in them! Peru Rail´s cheapest class is called Expedition; the cheapest class of the Inca Rail is “Turista”. Other classes do not suit to a backpacker´s budget. If you like to save some money, buy your train ticket a couple of days (or weeks) in advance. This is because closer to a departure date, prices of tickets increase! You can board a train at two railway stations: in Cusco (Wanchaq) or in Ollantaytambo (Sacred Valley of the Incas). The ladder is cheaper! To get to Ollantaytambo from Cusco, take a local taxi called “Colectivo”, a shared taxi with other persons so that it is economic. 2) If your budget is too tight, you can choose the option of visiting Machu Picchu by car. Buses and smaller vehicles leave only from Cusco, you can ask at any travel agency to help you as they organize these trips for a cheap price. The advantage of this way for Machu Picchu backpackers is that is really cheap; however, the disadvantage is the time as a travel takes 8 hours only to Hidroelectric and from there you need to either take a train to Aguas Calientes or walk for other 2-3 hours along trails. 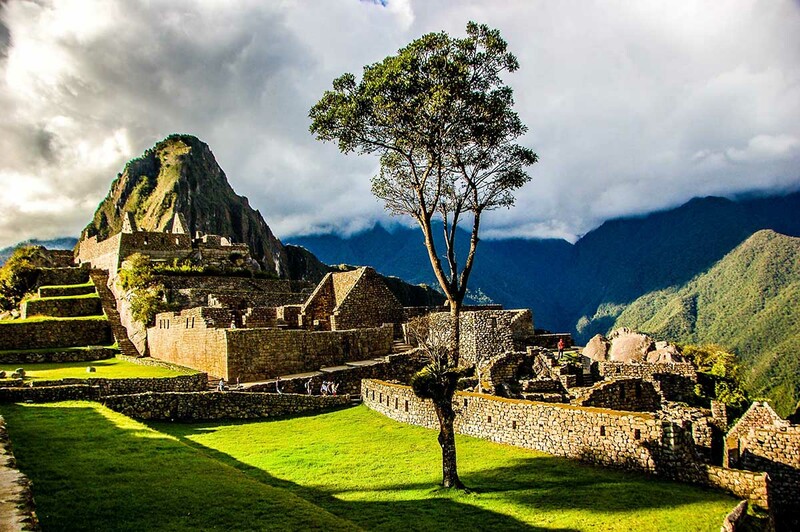 The same is valid for the return so that you do not visit Machu Picchu for much time. 3) Accommodation: There is a big number of hotels and hostels of each category and price in Aguas Calientes (the town just below Machu Picchu), backpacker´s hostels including! You can find there, for instance, the Supertramp Hostel that will suit to your backpacking budget! Machu Picchu Mountain and Huayna Picchu are peaks above the Incan citadel serving to take some panoramic photos of Machu Picchu! They both need to be book well in advance (a month or more is recommended) to secure your climb and some lovely photos of this site! You should know that you need to reserve at least a month to enjoy backpacking in Peru in full! Peru is huge and it takes some time to get from a site to another site. Anyway, when you leave Peru, you will always have a feeling that there are many sights that you have not seen yet and you should return! !